By Isela-Elizabeth Tellez-Leon, IIASA-CONACYT postdoc in the Advanced Systems Analysis, Evolution and Ecology, and Risk and Resilience programs. The rise of foreign investment in emerging economies after the global financial crisis of 2008-2009 has renewed interest in what drives such investment. 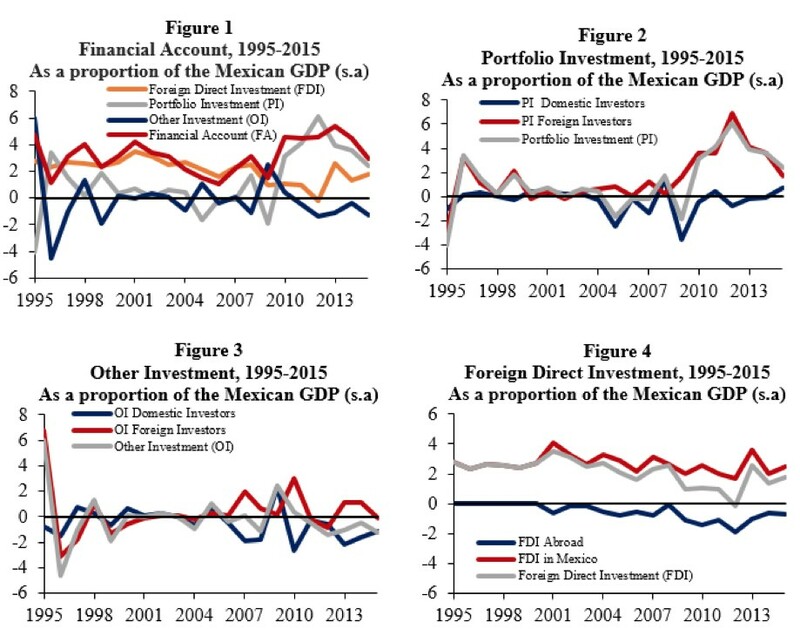 My colleague at the Central Bank of Mexico and I examined the determinants of foreign investment, known as capital flows, into Mexico in 1995-2015, a period characterized by a free-floating exchange rate, that is, the authorities did not set an exchange rate. Our research has useful findings for the design of economic policies because it provides measures that authorities can take to direct proper functioning of the economy. It also contributes to improved understanding of what influences capital flows into Mexico. We analyzed the determinants of each type of foreign investment separately, because different financial flows respond differently to the various external and internal factors. Mexico is an interesting case study because it experienced a large volume of capital investment after the commercial opening in the 1990s and more recently in the aftermath of the 2008-2009 financial crisis, as international investors were searching for high yields and security. In addition, the trading volume of Mexican government securities is one of the highest among emerging markets. Capital flows are incorporated into financial accounts where foreign transactions are noted—including investments by foreign residents into Mexican public and private sector securities and by domestic residents in foreign securities. Mexico’s financial accounts (Figure 1) are composed of the following three components: portfolio investment (in terms of liquidity—i.e., the extent to which a market allows assets to be bought and sold at stable prices—this is a short-term investment, Figure 2), other investment (Figure 3), and foreign direct investment (in terms of liquidity this is a long-term investment, Figure 4). The financial account is divided into three main areas: foreign direct investment (FDI), portfolio investment (PI) and other investment (OI). Figure 1 shows the net flows of foreign investment. Figure 2 displays portfolio investment (PI) and its components of domestic and foreign investors. Figure 3 and 4 show OI and FDI split into their different components. The figures show moving averages over 4 quarters adjusted for seasonality. Source: Elizabeth Tellez and the Central Bank of Mexico. Portfolio and other investments tend to leave and enter a country quicker than foreign direct investment; thus, they are likely to respond faster to shocks. In particular, portfolio investment by foreign agents might have a different response compared to portfolio investment by domestic agents. For example, if foreign investors have timely information about the external economic conditions, they will likely respond faster to foreign shocks. In general, foreign investment has an impact on developing economies in at least two ways. On the one hand, international borrowing allows a country to increase investment in the private sector, without sacrificing consumption. On the other hand, large foreign investment flows may be followed by increases in the prices of goods and services because of the strength of the exchange rate. In turn, this increases purchases of foreign products (imports), but exports decrease. In this way, a country’s foreign trade may become more vulnerable to external shocks and reversals of foreign investment. 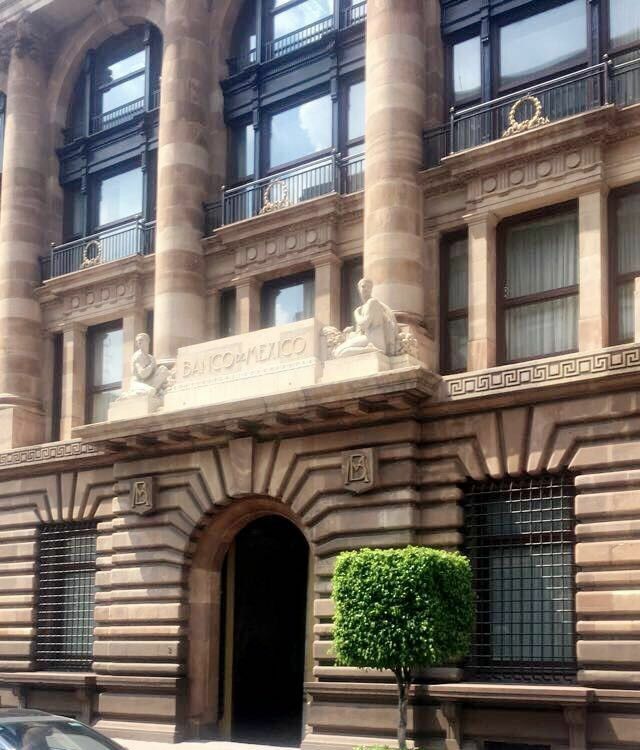 Central Bank of Mexico © Elizabeth Tellez. To analyze what determines capital flows in the short and medium term for Mexico, we used an econometric model known as Vector Autoregression. This model allows us to examine the impacts of different shocks on capital flows. We studied two sets of factors that can encourage investors to shift resources to emerging markets. The first set considers external shocks (push factors), which are beyond the control of developing countries, such as foreign interest rates or economic activity in advanced countries. The push factors we examined were global risk, US liquidity, US GDP, and US interest rates. The second set of factors are the prevailing economic conditions in the emerging economy (pull factors). For these we considered Mexican GDP, interest rates, inflation, and exchange rates. One of our main findings is that investors are risk averse and prefer to invest abroad when foreign interest rates are higher. Portfolio investment (PI) and other investment (OI) seem more responsive to short-term shocks than foreign direct investment (FDI), possibly because they tend to be more liquid than FDI. We also found that domestic conditions play a role in explaining capital flows. For instance, we found that higher GDP growth leads to higher portfolio investment, while higher interest rates and lower inflation generate higher inflows of other investment. Our work underlines the benefits of separately analyzing the components of capital flows. For instance, a shock to the federal funds rate has important effects on portfolio investment in public-sector securities by foreign residents. This is because public securities are the closest substitutes to US government bonds found in the Mexican financial market. Raul IR & Tellez Leon E (2017). Are all types of capital flows driven by the same factors? Evidence from Mexico. Banco de Mexico, Mexico.